“Toughen Up”…“Everybody goes through it”…“It’s not that big of a deal!” These are just a few of the common statements that adults often tell children when they state they are being bullied. 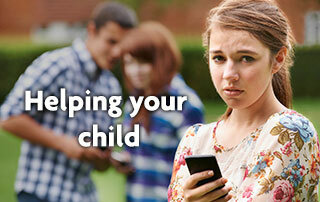 However, bullying has become one of the most significant stressors children are facing on a daily basis. Research shows that students identified as victims of bullying have higher rates of depression that persist throughout life. Over 160,000 American youths skip school fearing that they will be the targets of bullies; 36% of boys and 38% of girls report being bullied at least once a week. In addition, the NICHD concluded that bullies are six times more likely to be convicted of a crime by age 24 and five times more likely to end up with serious criminal records by age 30. Government records estimate that 2/3 of school shootings are due to victims of bullying seeking revenge. Locally, a Youth Risk Behavior Survey demonstrated that 14% of students (second highest figure in the nation) felt too unsafe to go to school. For a child, their school environment is often their entire world. It is the place where they have the ability to socialize, make friends, discuss their emotions with peers of their own age, and feel accomplished by achieving success academically and in extracurricular activities (sports, clubs, etc.). When a child’s world is affected by bullying, it affects their emotional and academic development. Adults often underestimate how difficult it is for a child to focus in school when they are being bullied. Imagine going to work for eight hours a day and being miserable with no one to turn to; imagine being constantly ridiculed while trying to meet work deadlines; imagine being afraid to attend work meetings and having no coworkers to speak with because they are all spreading rumors about you. Listen attentively without interrupting and be prepared to be shocked. Brainstorm with them on several different non-violent ways to handle the bullying situation, remembering that violence only creates violence. Ask if there is anything that you as a parent can do to help. Be okay with the fact that your child might just want to discuss different ways for them to handle the problem on their own. Share stories of times when you were bullied as a child and how you overcame it. Role play with them the bullying scenario in order to practice the solution and communication. Parents can also help their children by teaching them to be a leader and be socially responsible for one another. Research indicates that 85% of bullying incidents involve a peer presence. Therefore 85% of the time, classmates can intervene in the situation by viewing the bullying behavior as not “cool” and reaching out to the victim. Social responsibility can be taught by increasing our children’s respect for cultural differences and similarities, and decreasing social exclusion based on economic status and ethnic background. By sending the message at home to our children that all forms of emotional, physical, verbal and social bullying are not acceptable, we can help change the school environment.